This Coupon allows you to buy one Discovery Center Museum General Admission at full price $8.00 and Get One Admission Free. Limited to 2 total discounted general admissions with 2 purchased admissions. Create opportunities for joyful learning and discovery through hands-on experiences in the sciences and arts. 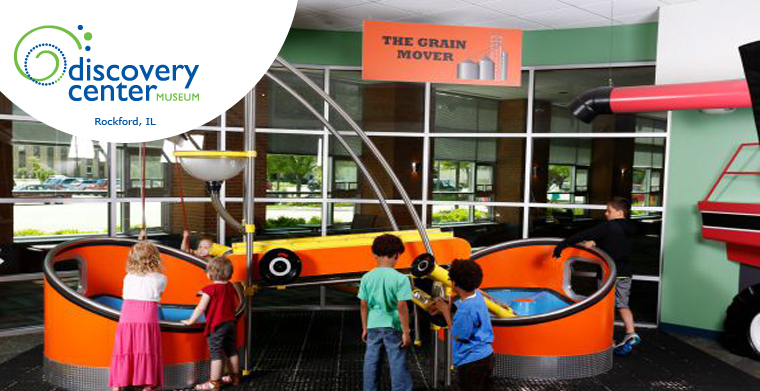 For Family Fun that will create lasting memories visit the amazing Discovery Center Museum in Rockford Illinois. You will experience over 250 exciting hands-on exhibits spread over a two-floor area. Out in the museum’s backyard, visitors can explore the one-of-a-kind Rock River Discovery Park, a giant multi-level science park with a hands-on twist! The museum also hosts traveling exhibits, special events and programs throughout the year.